Hey Tampa, Lisa here with an update from some of our favorite Tampa Bay Dining. The Melting Pot Restaurants of Tampa, Olsdmar, St. Petersburg and Sarasota are all working together to help collect donations for our Troops. In honor of Memorial Day, Independence Day and the launch of The Melting Pot&apos;s Big Night Out America, The Melting Pot is partnering with Treats for Troops to show appreciation for our armed forces! 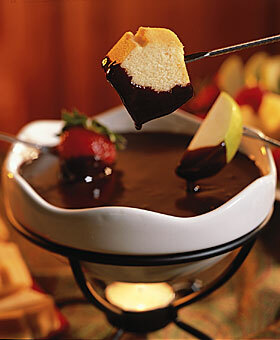 From May 29 - July 3, when guests bring a gallon size bag filled with items ranging from personal hygiene products to candy, plus a dollar for shipping; they will receive a free chocolate fondue from The Melting Pot&apos;s Big Night Out America menu. Items they are collecting can be toothbrushes or even beef jerky. Since donations drop so low in the summer months, it is a great time to form this partnership. Treats for Troops ships donations to military bases located in Iraq, Afghanistan, Korea, Africa and numerous other countries including Navy Ships. Treats for Troops plans to collect donations for the troops until they all come home. What a great way to show your support, and eat great food! But hurry because the special deal only runs through July 3rd. Well that&apos;s all for me, but stay tuned for other Tampa Bay Area Events or other Things to do in Tampa Bay.